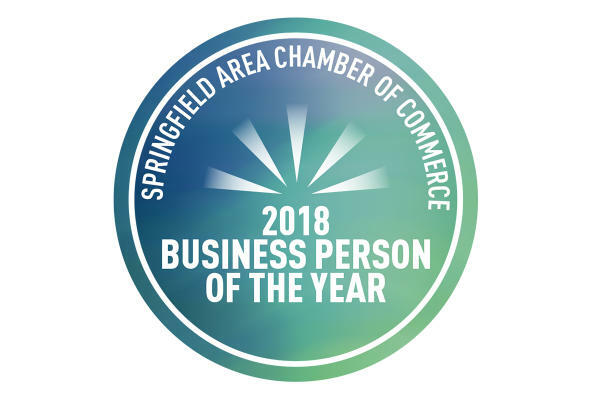 Eugene, OR - Kari Westlund, Travel Lane County President/CEO, was honored as the 2018 Business Person of the Year at the Springfield Chamber of Commerce Annual Awards & Installation Banquet. Board Chair Lorrie Normann commented, "I am so happy that Kari received such a well -deserved award. This recognition reflects the passion and dedication that Kari brings to Travel Lane County and all the affiliations she works so tirelessly to support. On behalf of the Board of Travel Lane County, congratulations Kari." "I know I speak on behalf of all Travel Lane County employees when I say that no one is more deserving of this award. Kari is smart, completely dedicated to improving the economy of Lane County and has more energy than any person I&apos;ve worked with in my 41 years in the community," said Andy Vobora, Vice President of Stakeholder Relations. She currently serves on the board of U.S. Travel, targeted sector committees, the Economic Development Community Collaborative and formerly served on the HB2402 Joint Interim Legislative Task Force on Fish, Wildlife and Related Outdoor Recreation & Education. Locally, Kari is serving or has served on the Steering Committee for 2008, 2012 & 2016 Olympic Track & Field Team Trials, Lane Economic Committee and in her spare time she is a Rotarian who serves in a variety of roles. With more than 35 years of destination marketing experience, serving as the CEO of convention and visitor bureaus in Kodiak and Juneau before coming to Lane County, Kari also worked in Northwest Arctic Alaska for several years, implementing motorcoach tours of Kotzebue, establishing and managing a regional retail arts outlet for several small villages, and creating and managing Inupiat cultural interpretive programs for group tours. She has a Bachelors in Business Administration with a major in Travel Industry Management from the University of Alaska Fairbanks where her work in destination marketing began with the Fairbanks Convention & Visitors Bureau.